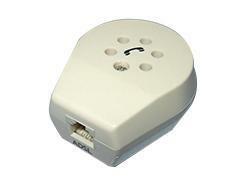 The FX-UK07U wall mount DSL filter splitter has BT plug and socket wit US RJ11 socket. The DSL filter splitter is applicable in Britain, Israel and etc. 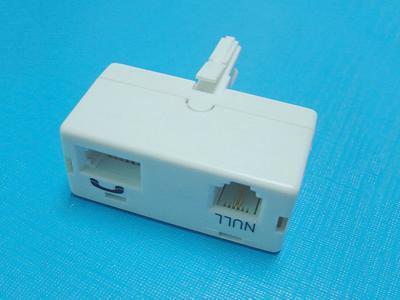 Connect your DSL micro filter broadband line splitter to the telephone wall jack. 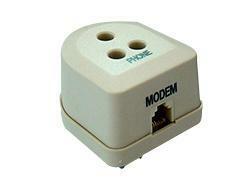 Plug the telephone line into the socket of DSL filter splitter which marked "PHONE" or phone symbol. 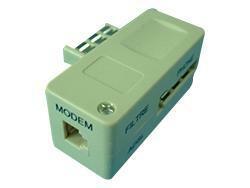 Connect the DSL modem to the RJ11 socket of ADSL filter splitter which marked "MODEM" or computer symbol. 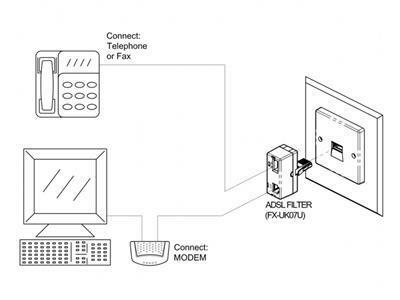 Follow the above steps, you can use the telephone and surf the internet at the same time. 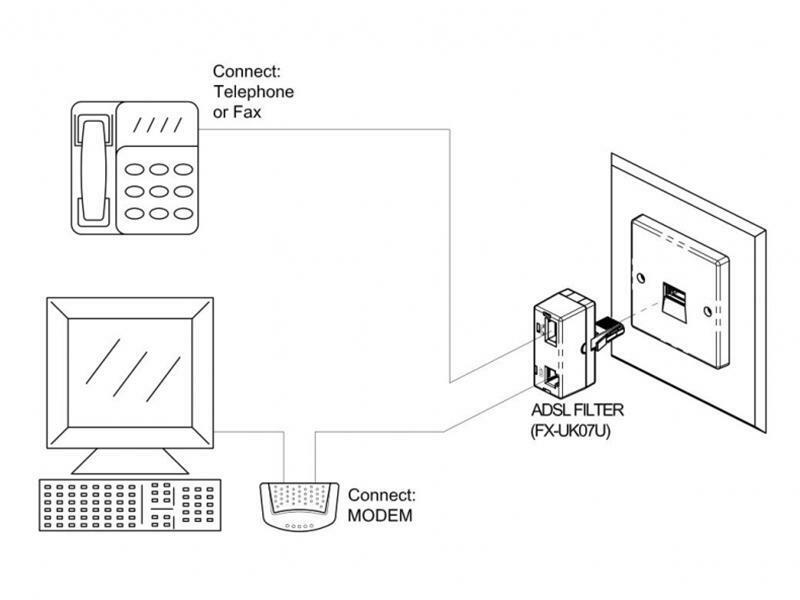 The high quality DSL filter shown above is designed for broadband internet connection over telephone lines. 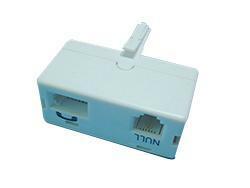 You can choose the right products according to plug types of the equipment. We can also customize the DSL filter splitters to meet the specific requirements of your communication system.